A nuclear power plant on the shores of the Chicago area’s largest source of drinking water is facing scrutiny from federal regulators over its fire protection practices. 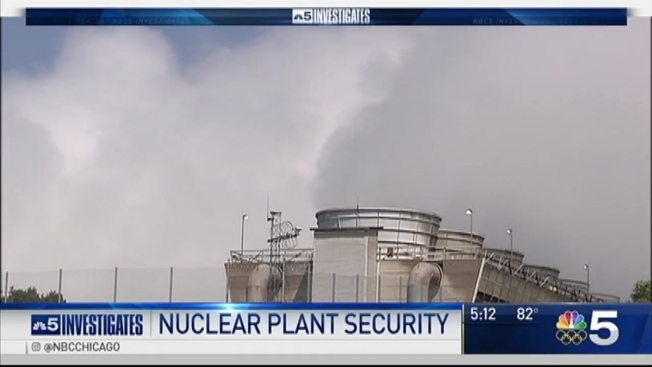 NBC 5 Investigates has learned the Palisades Nuclear Power Plant in Covert, Michigan, has placed some of its security officers on paid administrative leave as a result, pending completion of an internal investigation. The Nuclear Regulatory Commission said it identified an issue with fire tours at Palisades while conducting routine inspections. According to an NRC spokesperson, inspectors had questions about the tours and began looking further into the issue. The NRC said a fire tour is defined as when a worker goes into certain areas on a specific frequency to look for evidence of a fire such as smoke, flames or odor. “The NRC has fire protection requirements that are specific to each plant and at Palisades there appears to be discrepancies as to how the procedures were being met,” the spokesperson wrote in a statement. The NRC said it does not have an immediate safety or security concern, but it is monitoring the plant’s actions in response to the situation. A spokesperson for Palisades parent company, Entergy, said the plant has implemented strong interim actions to ensure appropriate staffing and that fire tours are conducted properly. “Safety is our number one priority and remains uncompromised,” said Val Gent, senior communications specialist. Nuclear watchdog group Beyond Nuclear said the developments raise deep concerns about security and fire risks at the aging atomic reactor. “If an undetected fire were to spread to safety-significant systems, structures, or components, a reactor meltdown or high-level radioactive waste storage pool fire could result,” said Kevin Kamps of Beyond Nuclear. Kamps also raises questions about why security guards are burdened with the added responsibility of making fire watch rounds in the first place. In April, the NRC issued a confirmatory order to Entergy following an investigation that determined that workers at the company’s Waterford 3 nuclear power plant in Louisiana failed to perform fire inspections and falsified records over a ten month period between 2013 and 2014. The NRC did not fine Entergy in the Louisiana case because it said the company took corrective actions.